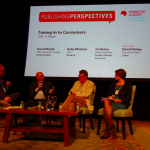 Marketing and media professionals share their insights on latest trends and innovations in book promotion from Tuesday's Publishing Perspectives Reaching Readers conference. 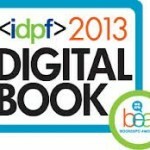 As publishers migrate beyond the first phase of the ebook revolution, the IDPF's Digital Book Conference on Wednesday will address ebooks on the web, tablets, phones and more. Are you hiring? Post your job listings on Publishing Perspectives' new job board and reach our global network of publishing professionals.